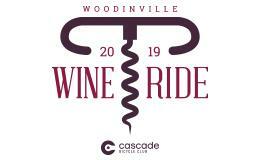 Cruise through the heart of Woodinville Wine Country on the fourth annual Woodinville Wine Ride! Along the route there will be a pit stop at the Junction where Beaumont Cellars, Gard Vintners, Sol Stone Winery, and Armstrong Family Winery will be pouring refreshing tastes of their wines. Riders will return back to Woodhouse where a finish line party awaits with live music, a wine garden, food trucks and more. Family and friends are welcome to join! With paid registration, riders will receive a meal, one full sized wine pour & two tickets for wine samples at participating winery stops along with a wine-themed giveaway item.